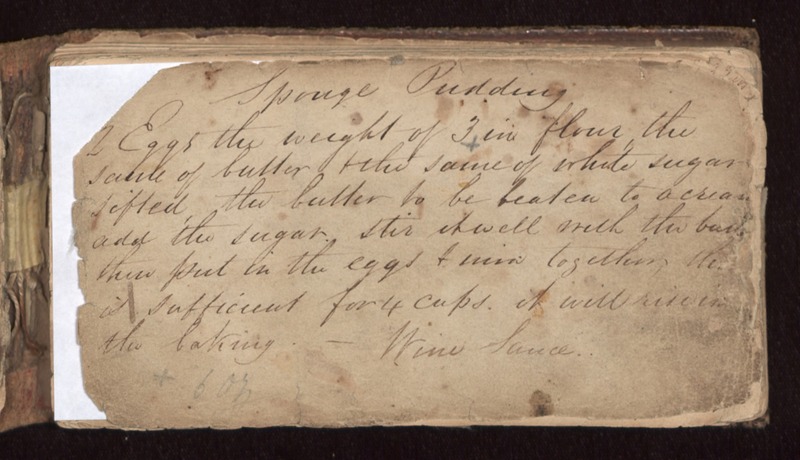 Sponge Pudding 2 Eggs the weight of 3 in flour the same of butter and the same of white sugar sifted, the butter to be beaten to a cream add the sugar. Stir it well with the butter then put in the eggs and mix together, [this?] is sufficient for 4 cups. it will rise in the baking. - Wine Sauce..